One lunch hour, deep in a discussion of the finer points of style, Flint and Tinder’s Apparel Designer Sunny Chang dropped this offhanded comment: “You don’t want the suit to wear you—you wear the suit.” The phrase stuck in my head and gave us an idea for a new series. 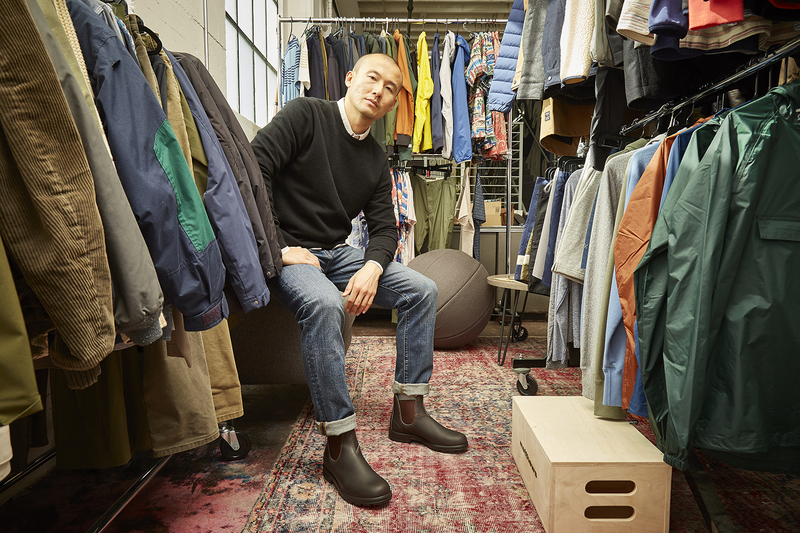 Each month, we’ll bring you three looks from Sunny, whose style is widely admired around HQ, accompanied by his advice on how to make sure you’re wearing the fit—not the other way around. 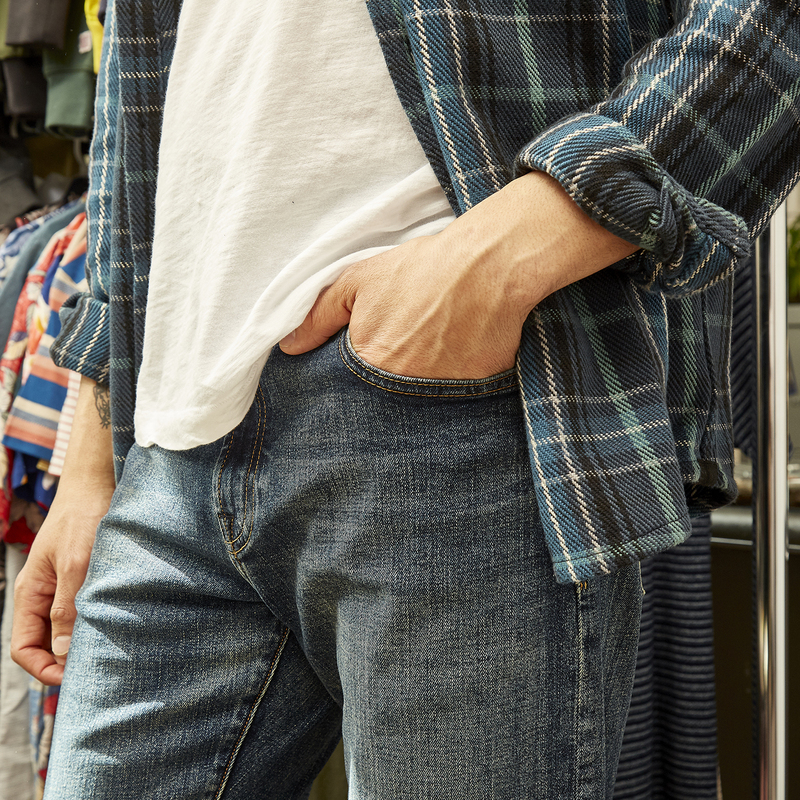 A solid pair of stonewashed jeans deserves a place in every guy’s wardrobe. 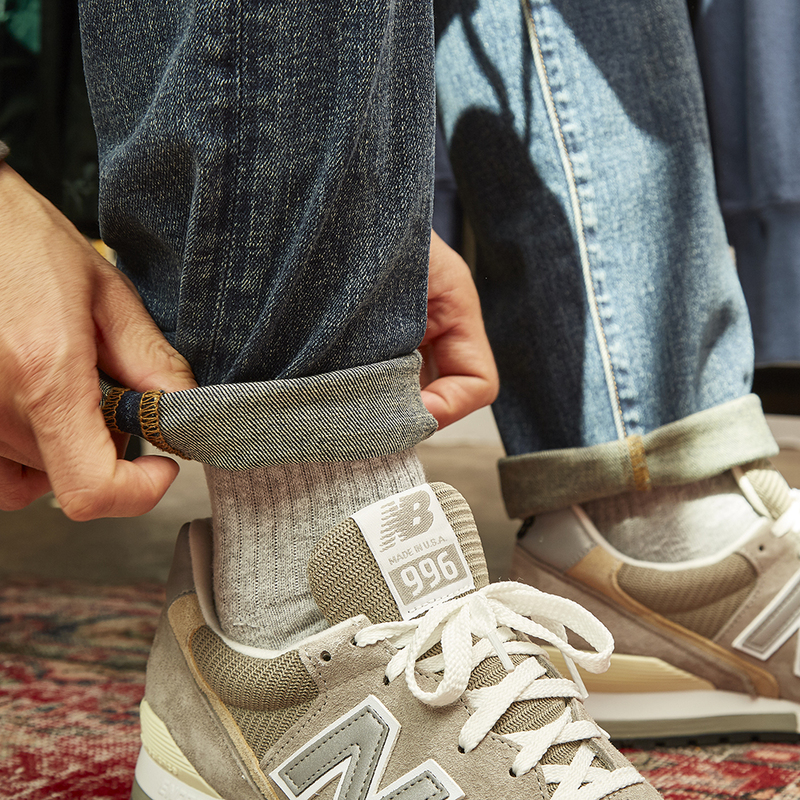 We know, we know—when you hear “stonewashed jeans” it might make you think of Kris Kross and their oversized M+FGs, or maybe something Pauly D would wear for a night of fist pumping on the Jersey Shore, but stick with us on this one. The truth about stonewashed jeans is that when they’re done right, they can be worn a ton of ways, complete plenty of different outfits, and make a worthy addition to your denim quiver. Our pick? Flint and Tinder’s Stonewashed All-American Jeans. Rather than an overwrought washed-out look, they come with a lived-in feel right out of the box. 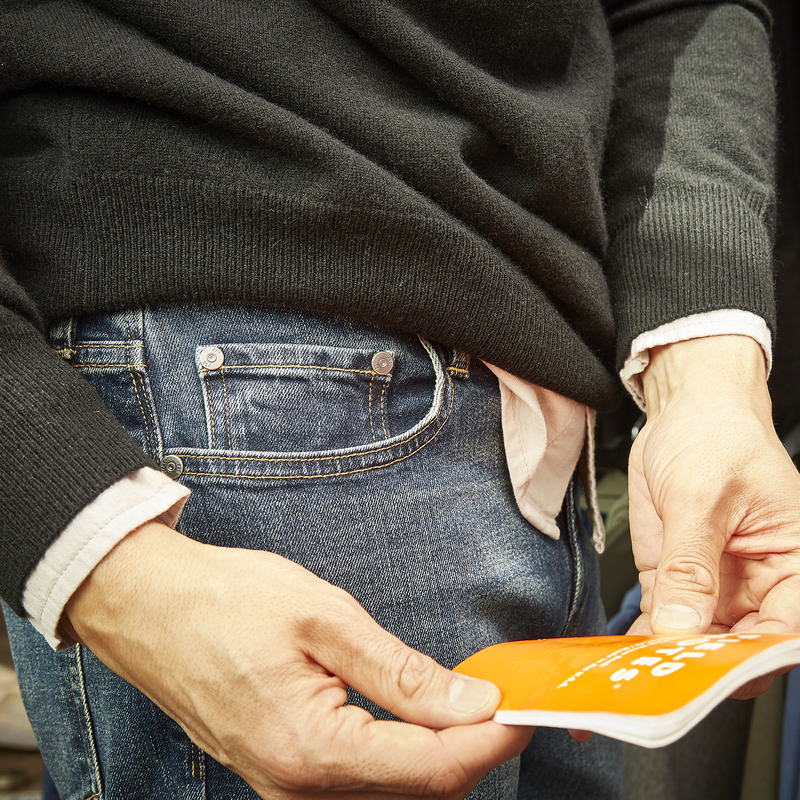 And with a dialed fit and the perfect touch of stretch, they’re as comfortable as it gets. Scroll on to see how Sunny wears his. How to pull it off: Sunny recommends a vest that’s lightweight and matches the fit of the rest of your clothes—skip the puffer if you’re wearing a slimmer jean, so you don’t look like an upside down pear. Why it works: Inspired by a friend of Sunny’s that wears the gnarliest work boots in his closet with some of his more refined outfits, this look combines a utilitarian bottom half with a just-shy-of preppy top half for a playful contrast. “You don’t have to go too far to get a really clean, solid look,” Sunny says. “Put together a great casual look—jeans, white oxford, black boots in this example—and then throw on that cashmere sweater and it changes the tone of everything.” A solid pair of stonewashed jeans are a great way to bridge the gap between some worn-in, beat-up work boots and a more refined look that’s perfect for dinner reservations after work or a holiday dinner.